Treena is a plucky 16-year-old girl who must overturn the corrupt society in a dystopian world. Already, you can tell my distaste for all the tropes in this novel, yet I was completely unable to set it down. On rating day, every person is assigned a number according to their actions and appearances. Good, pretty people get high numbers which literally glow green on their forehead. Average citizens get mediocre yellow numbers. And then there's the serial killers and dregs of society which get low red numbers. On her first rating day, Treena hopes all of her hard work will reflect in a high green number. Instead, everyone is shocked when she receives an astonishingly low red rating. Vance also has a red rating and leads an elite military team. In order to raise her rating, Treena is assigned to Vance's team with the secret mission to uncover the spy. Vance is your typical beefy, talk, dark, and handsome male who must protect Treena at all costs. I did really enjoy the rated society theme and found myself rooting for the two protagonists throughout the novel. I especially appreciated Vance's character: he was complex, had clear motivations, and faced some really tough decisions. There were a few twists and turns which I saw a mile coming and a number of inconsistencies that pulled me out of the story. For these reasons (and because I really want to move on to some more adult novels) I won't be picking up the next book in the series. But overall, Numbers Game was an enjoyable read. 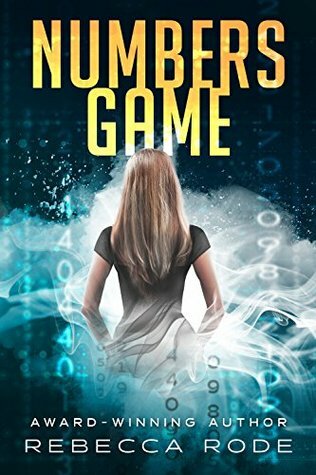 So, if you have a dystopian addiction like me or love Young Adult novels, you'll enjoy picking up Numbers Game.